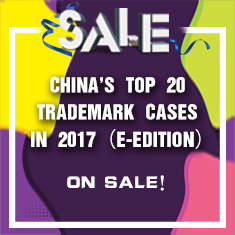 During this trial, Ferrero also filed a lawsuit against the Trademark Review and Adjudication Board (TRAB) of SAIC. This article will probe into the new provisions regarding the novelty requirements for granting patent right for design. There has been a growing concern among foreign investors in China regarding the explosion of registrations. A first-instance judgment ordered defendant SCHNEIDER to pay RMB 330 million in damages to Chinese plaintiff, CHINT.